Better known as Hiko-ho-no-ninigi, this spirit is the one who will be the ancestor of the mortal rulers to come. 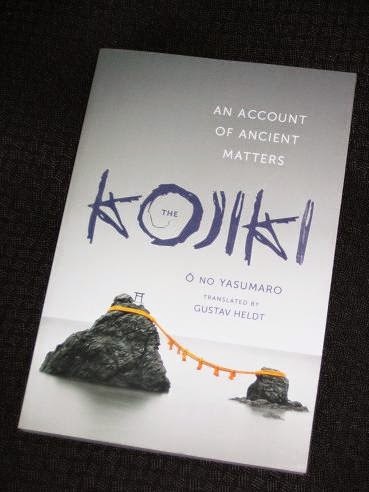 The second book begins with the voyage of the first (mythical) Japanese Emperor Jinmu as he travels from Kyushu to the Nara region, subduing rivals as he goes. As we move from ruler to ruler, the writer describes their wives, offspring and notable actions whilst on the throne. While this part is more concerned with the exploits of men than spirits, we’re still very much in the realm of fantasy, with several Emperors living far beyond a century (and one described precisely as being 10 feet 3 inches tall…). “Now the mighty one Pacified Land Lad shot an arrow that straightaway struck the mighty prince Clay Calmed Brave, slaying him. So his force was shattered, and they fled, scattering. And so their foes chased after the fleeing force, pursuing them to the ford of Camphor Leaves, where they were so hard pressed that they soiled their breeches. 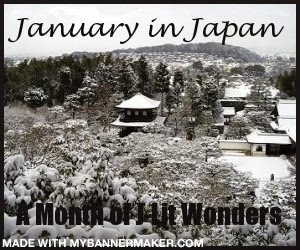 ← What’s Happening in January in Japan?